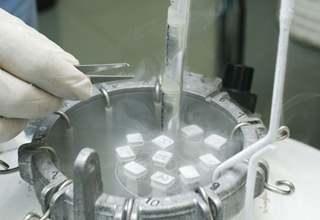 Sperms, eggs or embryos can be frozen and stored for possible use in the future. This is known as cryopreservation (freezing) and cryostorage (storage). 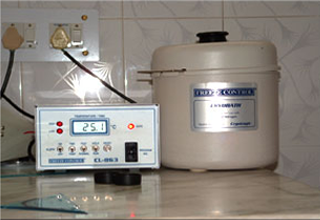 This is useful in cases where the male partner is going abroad or not having time to stay with wife during the time of ART procedure due to various reasons and who are planned for medical treatment that is likely to make them infertile (such as treatment for cancer), they are offered the opportunity to have some of their sperms, eggs or embryos frozen and stored before they start their treatment. Some medical treatments, such as chemotherapy or radiotherapy for other conditions and illnesses, can affect men’s fertility. If a man or adolescent boy who are about to have surgery on testes or medical treatment that is likely to make him infertile, healthcare team offer the option of freezing their sperm for later use.